Spring is on the way, and with it, new life on the homesteads. There are a lot of homesteaders that can and will hatch their own chicks, either by incubator or broody hen, and there are those of us without roosters that will be ordering more chicks. 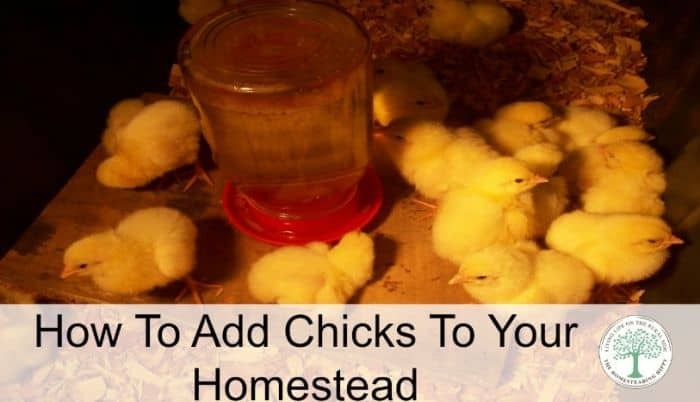 Either way you choose to add to your flock, there are a few things you need to do to get ready for chicks on your homestead. Before you go all “gaga” at the feed mill, farm store, or in the catalog you need to know where the chicks are going to live. Sure, you can start them out in a crate in the kitchen, but is that where they will spend the rest of their lives? So, the first thing you need to have ready is a coop. It should be in accordance with local laws, if necessary, have plenty of room for full grown chickens (at least 2 square feet per bird) and have 1 nesting box for every 4-6 birds you plan on having. You also want to think about whether or not they are going to free range, need a penned in run or a combination of both. 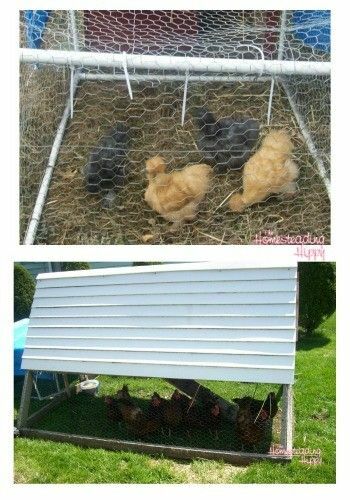 Having this planned out before you get your chicks will save you a lot of frustration. You will also need a few items for the chicks themselves. 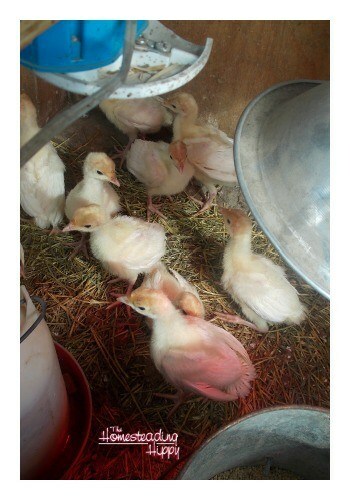 You will need a heat lamp, a brooder, a feeder, and a waterer. Chicks need to be kept warm, at the temp of 95-105° the first 2 weeks of their life. You will need to have a heat lamp that you can raise and lower as needed to ensure they are at a good temperature. If the chicks are all spread out, trying to get as far away from the heat, it’s too hot. If they are all bundled up close together, trying to get closer to the heat, it’s too cold. We like to hang ours on a chain that can easily be moved up and down to help with that. I also prefer the red lamp to the white lamp, because if chicks peck each other and draw blood, they will go after the injured chick and possibly peck it to death. The red lamp casts a warmer glow that makes blood much less noticeable to other chicks. Rose colored glasses, indeed. But, we have used both successfully. You may just need to keep an eye on possible injured chicks and be prepared to remove them quickly. Chicks need a higher protein feed to help them get started best. Well, that’s what all the experts say, including our 4H leader. We usually only buy one 50# bag of “chick starter” each time, and then they go onto the regular layer feed. I am sure that can be debated among other chicken owners, so do what’s best for you. We don’t like to have lots of different bags of feed laying around due to the lack of storage space ourselves. I have never personally had any issues raising them this way, by putting them on the layer feed early on. You will want to make sure that the feeder you use is easy for the chicks to reach and access the food, without worry of them getting stuck. Also, it needs to be closed off enough that they can’t poop all over their food. Here are some feeders for chicks that we have used successfully. A plastic one is our preference, but you can get a galvanized one as well. They both attach to mason jars full of food for ease of use. There is also a long one that you add the feed to, and has room for many chicks. We usually wind up removing the top part of this, because we have had several chicks get stuck in there. Chicks need access to lots of water. You will want to refresh their water at least 2x a day in the beginning. We also add a dime or penny at the bottom of the waterer, in the water itself, to get the chicks to peck at it and drink more. Some also add a couple of tablespoons of apple cider vinegar to the water in the beginning. We have done this with some sets, and didn’t do it with others. I honestly didn’t notice any difference in their health in the beginning. If you like the idea, it won’t hurt them. The waterer again needs to be easy for them to access the water, without the possibility of them climbing into it completely and drowning, or pooping all over in it. A chick brooder is simply a place for them to start out. We have used old rubbermaid containers, old rabbit hutches, and a mini coop as brooders. They can be as simple or as elaborate as you want. The basic idea behind a brooder is that it will give the chicks plenty of space to grow and move, a place for their food and water, and a way for them to keep warm with an added heat lamp attached. You will also want to make sure that there is some type of cover over the brooder to keep the chicks from flying out. This will happen before you know it. We just laid some chicken wire over the top of the rubbermaid container. Totally hacked, but it works well. Now that you are ready for your chicks, where are you going to get them? Local feed mills or farm stores are a great place to start, because the chicks will have less stress going home with you, and most of the time they are from local farmers so the breed will be “hardy” for your climates. But, if you have your heart set on a specific breed they don’t carry, you can order them by mail. 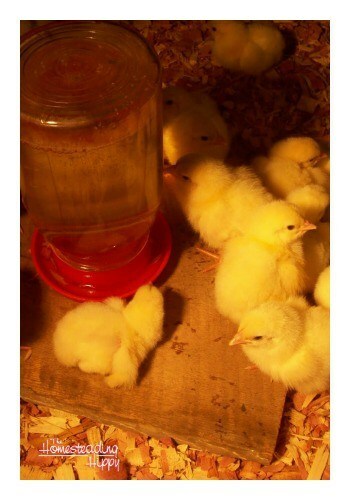 My favorite online place to order chicks is Hoover’s Hatchery. They have egg-cellent customer service (see what I did there?) and their chicks have always been very healthy. Adding chicks to your flock can be so much fun and easy to do with just a little bit of planning! Have fun with the fluffy babies and enjoy all that backyard chickens can offer. I have never actually raised chicks, but it’s something I have always loved this time of year! We get new chicks in on the farm almost every year and while they can be a fair amount of work to take care of, they’re so worth it!! 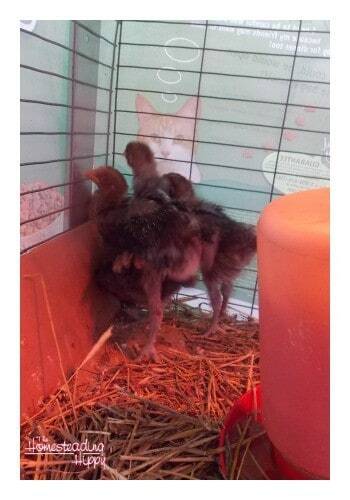 when they have most of their feathers is when we turned off the heat lamp and left them outside.